As a devastating fire tore through the cathedral on Monday, toppling its spire, many feared its numerous artifacts, works of art and religious relics -- collected over the centuries -- might be lost. As a devastating fire tore through the cathedral on Monday, toppling its spire, many feared the items — collected over the centuries — might be lost. Here’s an overview of some of the revered Gothic cathedral‘s most noteworthy features. • The Great Organ has been replaced and updated several times throughout history. 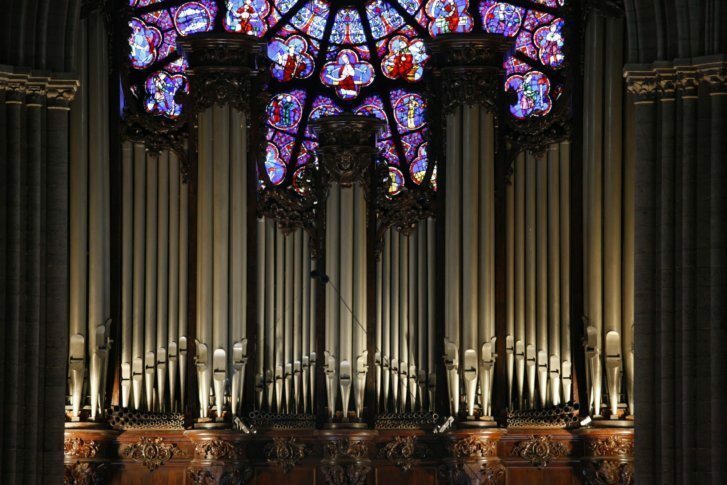 The position of titular organist, or head organist, carries great prestige in France and around the world. • The Rose Windows are a trio of immense round windows over the cathedral’s three main portals. • The twin bell towers, first constructed in the 13th century, were the tallest structures in Paris until the completion of the Eiffel Tower in the late 19th century. • The cathedral’s main bell, Emanuelle, has marked significant moments in French history, such as the end of World War II, as well as holidays and special occasions.